A week before the announcement of the new MacPro I had dinner with a videographer who was quite passionate about his need for a new MacPro, and what he needed it to contain. I warned him that the next generation would most likely not have a standard tower size or configuration, would likely offer Thunderbolt 2 as the expansion solution, instead of internal options, and would have excellent native graphics capabilities, though it might be some time before third party graphics options would be available. This was all clear from the general direction Apple has been moving in, and from the areas they have been showing interest in. 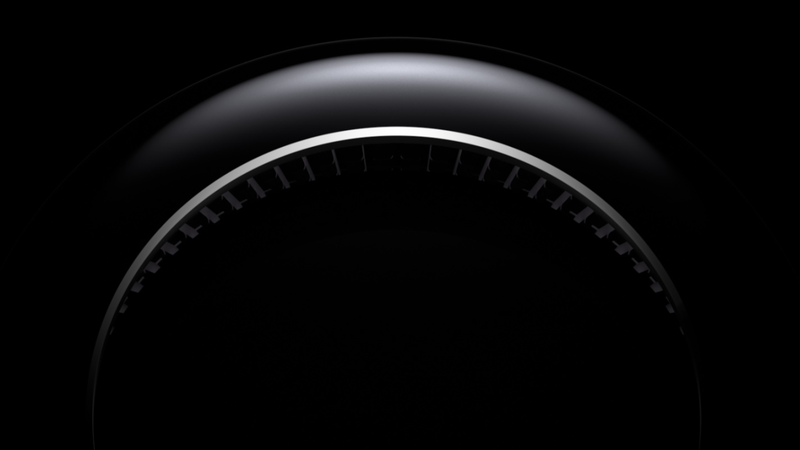 That forms a fairly good description of the new MacPro in advance. And having that sense of the device has allowed me to think less about the tech specs, and more about the concepts and applications of the machine, now that it has been announced. Without belaboring the specs, the key take away is that this is a fast graphics machine. Still photography long ago ceased being the standard by which computers were tested. 3D rendering and video tasks have taken over as the heavy lifting tests. And this machine is all about fast memory, fast internal storage (I hesitate to call it a drive) and fast communications protocols to external devices. Which pretty much describes video editing. 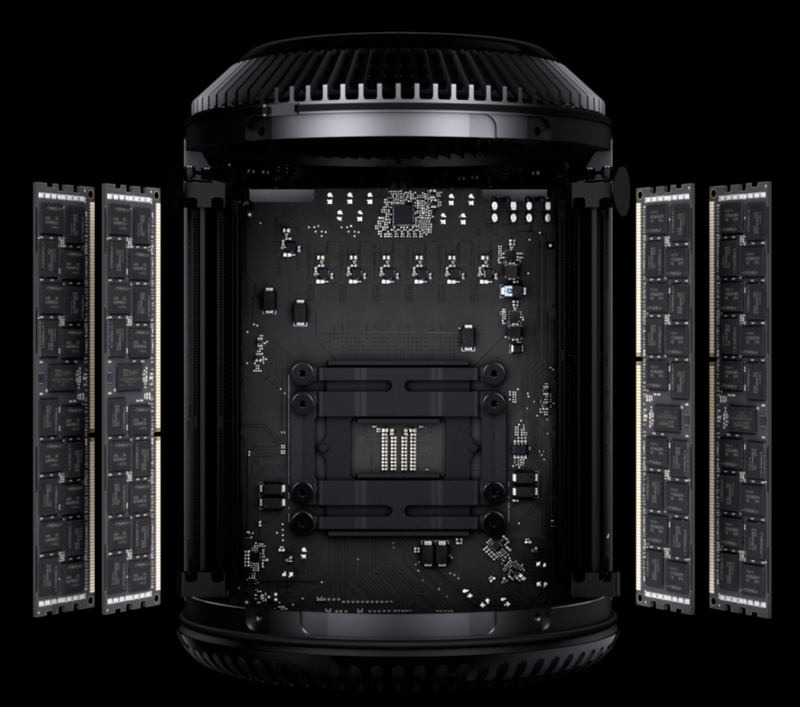 Not that it won’t be great for many other uses, but anything you can do conveniently, without delays and slowdowns, on the latest iMac, is not a candidate for the (as yet undefined) much higher price tag of the upcoming MacPro. Photographers working with huge layered files or composites, those wishing to work with multiple HD (and 4K) screens, and those wishing to access large numbers of images quickly, may find justification, but basic photo editing won’t really need the capabilities of this machine. Apple’s key advantage over other companies in the industry is the ability to customize and integrate all components of software, hardware and communications. Here, this takes the form of integrating all the high powered, heat creating chips into a unified core. This allows better heat transfer, which should have implications for longer life, improved performance, and with the custom cooling system, lower noise. All in an elegant little package. Another unique decision was forcing all other high speed functions to Thunderbolt 2. This is an external data transfer system so fast it vies with the fastest internal data protocols, with the added flexibility of not having the components be internal. This allows the device to be small, and the expansion to be totally fluid, as it does not need to fit specific expansion bay sizes and numbers. The risks of this forward-thinking strategy include the current lack of Thunderbolt 2 accessories, the long lag time it took before Thunderbolt 1 accessories trickled onto the market, the premium cost of Thunderbolt devices, the small market size (which may not lure as many third parties to produce such accessories) and the need for companies accustomed to creating only internal products, such as video cards, to create external products. Which leaves those companies responsible for their own heat dissipation schemes for those external enclosures as well. Good design consists of determining what the key aspects of a project are (selecting too many dilutes them all), and how best to express those elements. 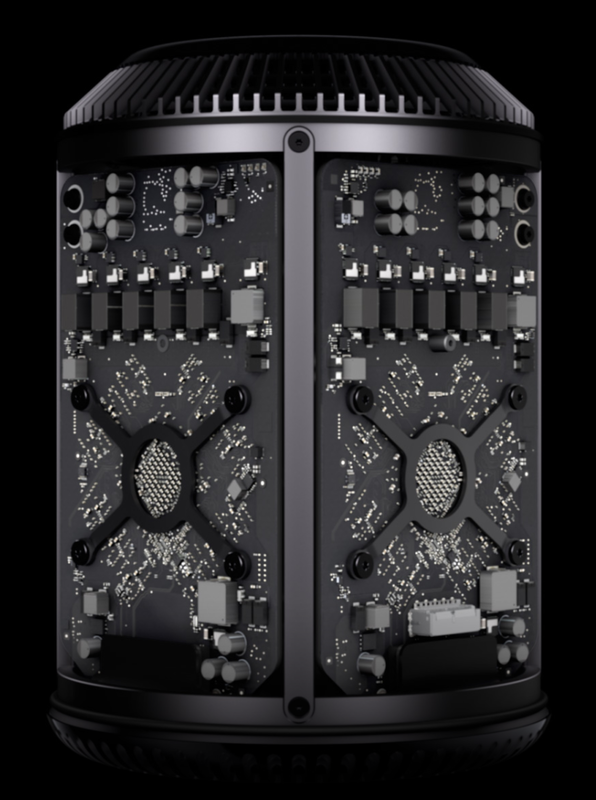 In the case of the new MacPro, Apple has emphasized speed, centralized cooling, reduced size, and the external nature of everything else. This is a legitimate design list, and rethinking the computer’s size, shape, and other factors based on this short list is excellent design. Whether it is excellent marketing is yet to be seen.